Credit: Image by BuzzFeed News. 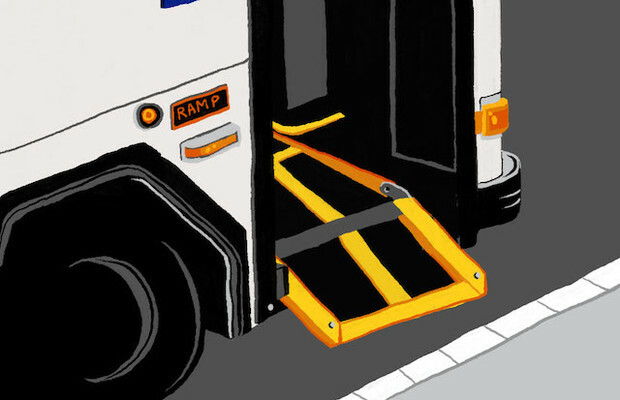 As part of its ongoing series exploring disability in the UK, BuzzFeed News published an interactive game last week, designed to help audiences understand the difficulties of using public transport as a wheelchair user. The 'choose your own adventure' game was part of over 25 pieces of content published by the news organisation since 31 July, exploring what it's like to be disabled in the UK in 2017 in a creative, youth-focused way. Louise Ridley, BuzzFeed UK’s news editor for longform and special projects, explained the game asked players to make decisions as their journey from Glasgow to London unfolded. "Access to travel is really difficult for people with mobility problems, so we wanted to put the audience in the position of someone with a wheelchair so they could empathise with what the travel frustrations would be like," she said. 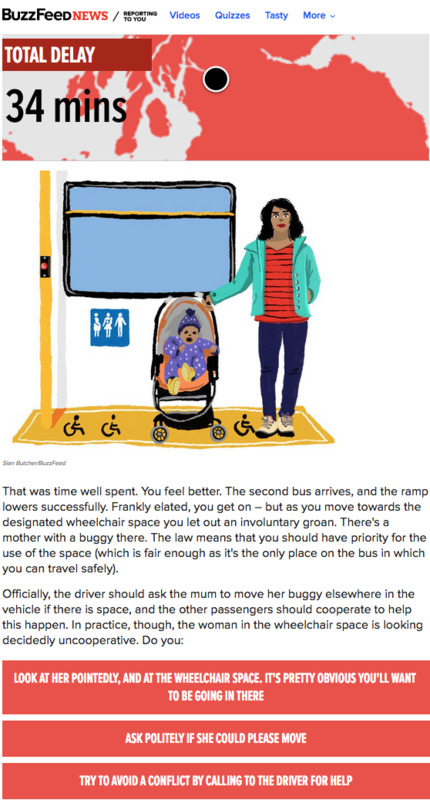 "For example, at one point you get on a bus and there's a lady with a pushchair in the wheelchair space that won't move, so how you handle that situation determines how quickly you get to your destination – it's a creative and immersive way for people to experience it for themselves." Screenshot of the interactive game by BuzzFeed News. The news organisation teamed up with Transport For All, who helped them find testimonies of all the common problems that happen to people when moving around on public transport, contributing to over 100 disabled people interviewed for the series. The game, which accompanies in-depth features and videos in the series, was then made by BuzzFeed's new formats team, who used colloquial text to describe the player's journey and results of their decisions as they move through the game, along with pictures illustrating the next stage of their journey. "I think it is a really engaging and refreshing way to learn things without being told what you should know in an article," she said. "We cover disability throughout the year, but with the recent disability cuts and current social care crisis, we felt that we wanted to put an extra focus on it with this series, and normalise disability – putting people at the heart of it." Other stories in the series include what it's like to go to a festival if you're blind or partially sighted, what a day in the life of a student with 24-hour care is like, and that Brits are twice as likely to face disability discrimination that those in other European countries.